We performed a meta-analysis to fully investigate the skin toxicities of anti-EGFR monoclonal antibody (EGFR-MoAbs) in cancer patients. 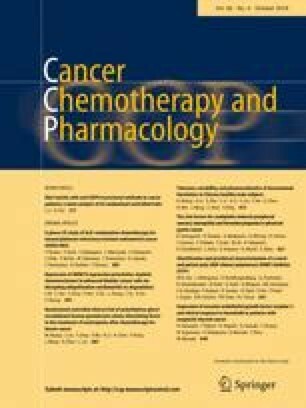 The relevant studies of the randomized controlled trials (RCTs) in cancer patients treated with EGFR-MoAbs were retrieved and the systematic evaluation was conducted. EMBASE, MEDLINE, and PubMed were searched for articles published till November 2017. The relevant RCTs in cancer patients treated with EGFR-MoAbs were retrieved and the systematic evaluation was conducted. 65 RCTs and 25994 patients were included. The current meta-analysis suggests that the use of EGFR-MoAbs significantly increases the risk of developing all-grade and high-grade skin toxicity, such as rash, hand–foot syndrome, dry skin and oral mucositis. Rash was the most common skin toxicity. Patients receiving nimotuzumab were associated with the least risk of skin toxicity. The risk of high-grade skin toxicity tended to be higher in the study in which the EGFR-MoAbs treatment duration was longer. The available data suggested that the use of EGFR-MoAbs significantly increases the risk of developing skin toxicity. Physicians should be aware of skin toxicity and should monitor cancer patients when receiving EGFR-MoAbs. The online version of this article ( https://doi.org/10.1007/s00280-018-3644-2) contains supplementary material, which is available to authorized users. This study was funded by the Fundamental Research Funds for the Central Universities, Southwest Minzu University, 2018NQN50. Author Jing Li declares that she has no conflict of interest. Author Hengxiu Yan declares that she has no conflict of interest.